Historically, there have always been disconnects between the inherent reliability of a system before it “goes out the door” and the reliability that it achieves in the field after delivery to the End-User. In the past, this has typically been blamed on inadequacies in reliability prediction methodologies, most frequently those based on Handbooks. This assumption, as discussed in the Nicholls and Lein 2013 RAMS Paper “When Good Requirements Turn Bad”, is erroneous and has diverted attention away from the real issue: the specification of bad contractual reliability requirements that do not reflect all of the failure cause categories that result in unsatisfactory field performance. Quanterion Solutions Incorporated has developed the Optimized Reliability Requirements and Cost Analysis (OR2CA) tool for one purpose: to present a methodology that develops contractual reliability requirements that are fully aligned with stated End-User Operational Reliability needs and expectations based on all of the categories of root failure cause that contribute to potential mission loss or degradation. To implement this methodology in a manner that supports the Department of Defense (DoD) “Better Buying Power” initiatives, Quanterion has automated the DoD RAM-C Rationale Report Manual to integrate the Sustainability and Availability Key Process Parameters (KPPs) and the Reliability and Ownership Cost Key System Attributes (KSAs) requirements into a comprehensive “solution” for developing and specifying contractual reliability requirements based on optimized Total Life Cycle Cost (TLCC). 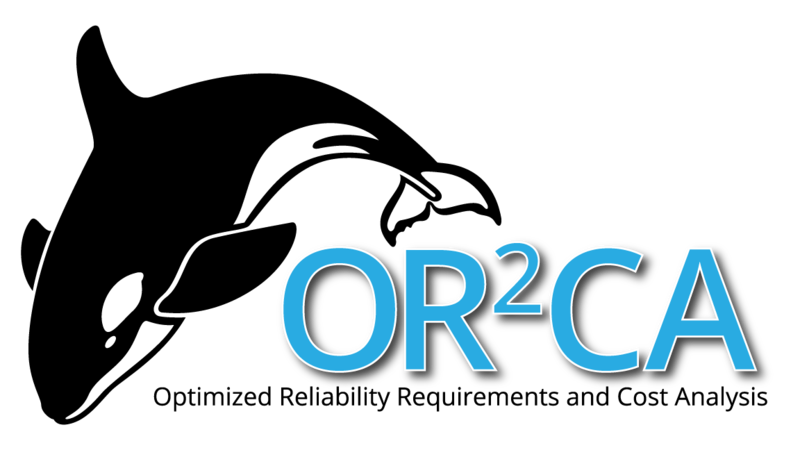 The OR2CA tool was developed by Quanterion as a supplement to the publication it developed under RIAC, “The Influence and Impact of Reliability, Maintainability, Quality, Supportability and Interoperability (RMQSI) on Total Life Cycle Cost and Return on Investment: Supporting the U.S. Department of Defense “Better Buying Power” Initiative”. DoD Contractors working on active government contracts (Contract Number and description of role in the acquisition program must be provided with the request).